Peter is the President of the Ontario Federation of 4 Wheel Drive recreationists. 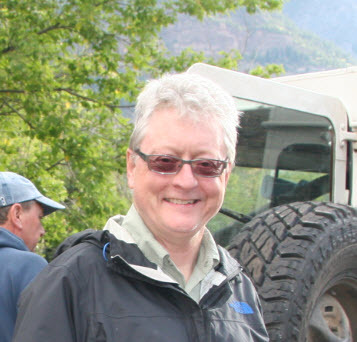 Peter joined the Board of the OF4WD in 2004 and has held the position of President since 2007. The Ontario Federation of 4 Wheel Drive recreationists (OF4WD) is a Provincial umbrella organization comprised of 4×4 clubs and individual members. Their mandate is to represent the interests of the 4×4 community and ensure the long term sustainability of 4 wheel drive recreation in the province of Ontario. The OF4WD work to achieve this through user education, advocacy work, and cooperative trail maintenance programs. Peter has many years of experience representing the interests of the 4wd and wider motorized recreational community in front of the MNRF, MTCS, and MTO. Peter has held a seat on the Off-Road Vehicle initiative (MNRF program) since it’s inception in 2010. Peter is also the current chair of the Bancroft Minden Forest Management Local Citizens Committee and has a seat on the Municipality of Highlands East Trails committee. Peter past roles have also included a seat on the board of the Ontario Trails Council.